A run of poor seasons has left Cruz Azul sitting just eight points off relegation, despite La Máquina having one of the highest budgets in the league. Last season, the management at Cruz Azul tried their best to turn around their fortunes. Four big new signings came in, and crucially, Paco Jémez became Cruz Azul’s first foreign coach since 2008. Despite these efforts, nothing changed. As they had in previous seasons, Cruz Azul dominated possession in the majority of their matches, but were ineffective at both ends of the pitch. Cruz Azul scored once for every 13.1 shots (third worst in Liga MX) and conceded once for every 8 attempts against them (second worst in the league). In terms of effectiveness in front of goal, some positive moves appear to have been made in the transfer window. Felipe Mora is an exciting young Chilean, who was top scorer during the 2017 Clausura in Chile. The likes of Ismael Sosa and Nicolás Castillo have previously enjoyed success in Mexico after being top scorer in Chile. Mora will replace Jorge Benítez, an extraordinarily inconsistent forward. 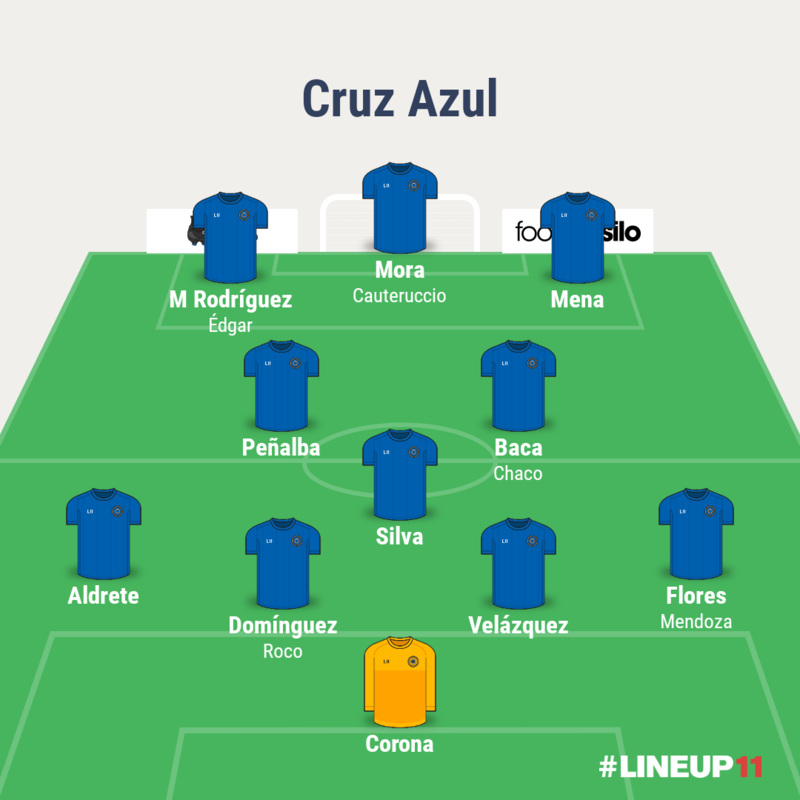 Felipe Mora will be expected to lead the line in a Cruz Azul side blessed with some quality attacking options. Martín Rodríguez, Ángel Mena and new Spaniard Édgar Méndez will battle over the two wing spots if Jémez decides to stick with the 4-3-3 formation. However, all three could be fitted into a 4-2-3-1 system, unless legend Christian “Chaco” Giménez is brought in at attacking-midfield. The defence is full of experience, and is well-protected by Francisco “Gato” Silva and Gabriel Penalba. It’s easy to gloss over the fact that Cruz Azul conceded fewer shots than any other side in the regular part of the 2017 Clausura, a remarkable 65 fewer than eventual winners Chivas, but this is an impressive achievement. The concern is whether or not La Máquina can improve their efficiency at preventing the shots that they do concede from ending up in the back of the net. Rudimentary stats (expected goals conceded would be required to judge properly) suggest that José de Jesús Corona is no longer good enough, so failing to replace him over the summer may have been a major error. Cruz Azul start this season in familiar territory. They are once again trying to rebuild and rebound after another disappointing campaign. Another season where Cruz Azul has failed to bounce back to prominence in the league has passed. The short tenure of Paco Jemez has yet to remotely meet the high hopes his arrival brought to the desperate fan base. Yet, hope springs eternal. Why not us, indeed? For Cruz Azul, hope comes in its usual package – South American reinforcements. 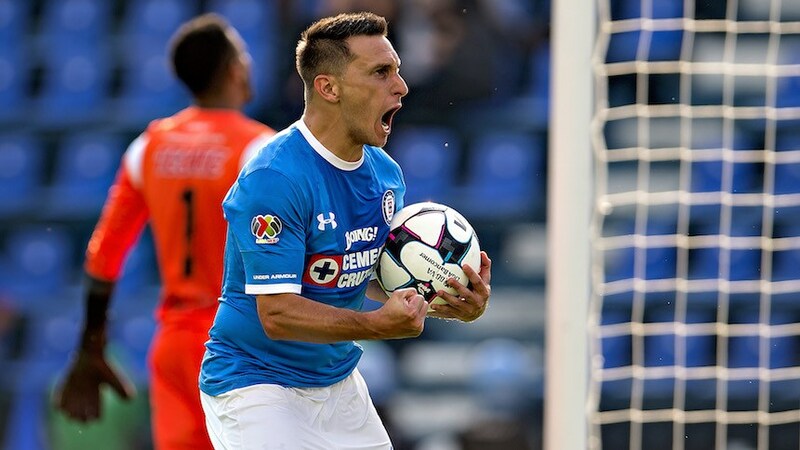 This time around Felipe Mora brings the promise of the Cruz Azul goals that have been lacking. In breaking with tradition, Cruz Azul have also invested in young domestic talent. The promising Mexican defender, Jordan Silva has been brought in from Toluca. Silva’s arrival is hopefully a harbinger of a new approach for the club, something that is needed more than any new manager or player. Jason produces a curated list of the best in English-language Mexican fútbol writing each week. To receive this list in your emails every Thursday, click here. A season without serious relegation troubles would appear a successful one for Puebla, but performances in the Clausura were concerning. As expected, the departure of Matías Alustiza has hit hard. Not only have Puebla lost “El Chavo’s” goals, but also his ability to connect with and ignite the home crowd, and his teammates. This, combined with José Cardozo’s increasingly dire brand of football, which he brought over from Chiapas, and a lack of exciting players in the side, made Puebla poor to watch last season. A disappointment for the neutrals who have often enjoyed their Sunday evening games. Former Mexico international Rafael García has replaced Cardozo, for his first role as DT. He’s another young Mexican coach being given an opportunity in Liga MX. Let’s see how he gets on. Raiding América and Chiapas in the draft appears to have worked fairly well for Puebla, with the squad looking stronger than last season. Robert Herrera will be missed at the heart of the defence, but Erik Pimentel could prove a good replacement if given a run in the side, something he never really received at América. The rest of the back-line looks strengthened, particularly in goal. Cristian Campestrini’s lack of discipline had become a liability, whilst Moi Munoz proved that he’s still a top Liga MX keeper during his spell with Chiapas. In midfield, José “Chepe” Guerrero fills in the defensive-midfielder hole left when Luis Robles returned to Atlas last year, whilst Félix Micolta offers real excitement from the right-wing. Micolta was one of the most effective dribblers in Liga MX last season, completing 1.97 per 90 minutes, with a 53.7% success rate. With his close control and upper body strength, it appeared very difficult for defenders to win the ball off the Colombian. 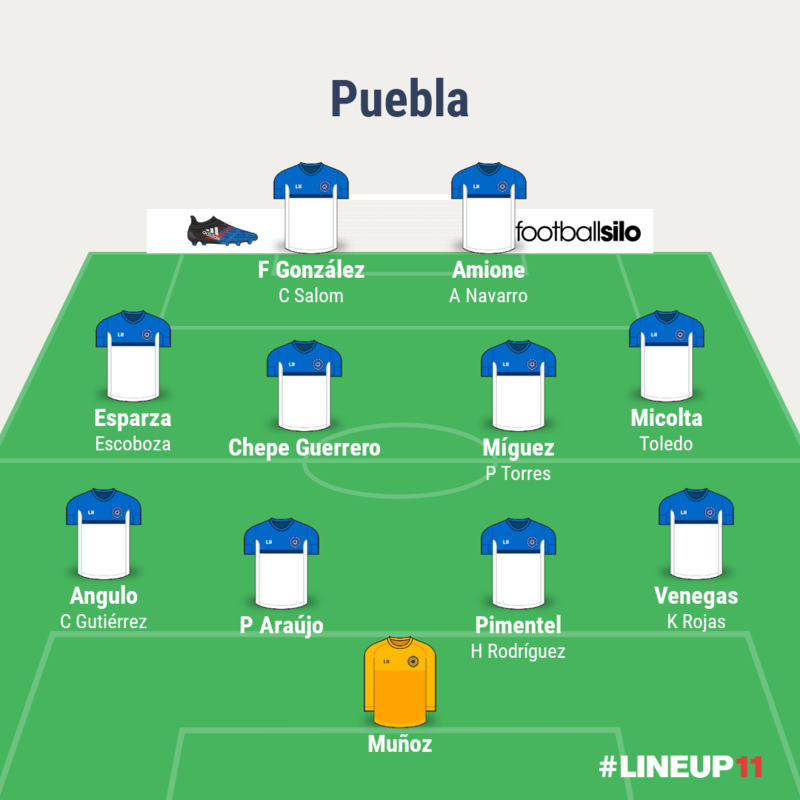 It’s unsure who will be the main goal scorer in this Puebla side though. From Federico González to Jeronimo Amione, Carlos Salom to Álvaro Navarro, there are striking options, but none appear to have the quality to replace Alustiza. Part 1 of my #ligamxeng Apertura 2017 Preview: "The Relegation Candidates"
Mr Sosa, thanks a lot for all your hard work. Thanks for getting us promoted. Thanks for keeping us up comfortably. Thanks for giving us a solid points total for next season. Thanks for taking us to a surprise semi-final. But, erm, you’re fired. Seems extremely harsh when put that way. And it is, but it’s not without good reason. Alfonso Sosa brought a pragmatic, defensive, counter-attacking style to Necaxa, who had more fast breaks than any other side in the Apertura. This tactic was often successful, but was also frustrating to watch at times. Necaxa’s quick, intelligent link-up play when hitting sides on the counter was very impressive, and caused plenty of problems, but it made you wonder why, if they were this good in possession, they didn’t want the ball more often. Perhaps, with a different tactic, they may have actually done better. Pragmatic, low-possession football is also often ineffective over the long run, as opponents work out how to counter your style. We saw this last season with Necaxa’s performances and results dropping off in the Clausura. If management at Necaxa belived that their side was on a downwards trajectory, and that Alfonso Sosa wasn’t the man to change their results, and style, whilst dealing with the departure of Edson Puch, the move makes sense. Whether or not Nacho Ambríz is a good replacement, remains to be seen. With a new man at the helm, and a crop of new additions, there are plenty of line-up questions to be answered. Will the creative duo of Luis Gallegos and Dieter Villalpando start in a central midfield three? Will Jesús Isijara, so good in the Apertura, so poor in the Clausura, keep his spot? Will Pablo Velázquez, Carlos González, Martín Barragan or Claudio Riano start up front? May two of these players start up front? Who will start at left-back; Jairo González or Miguel Ponce? 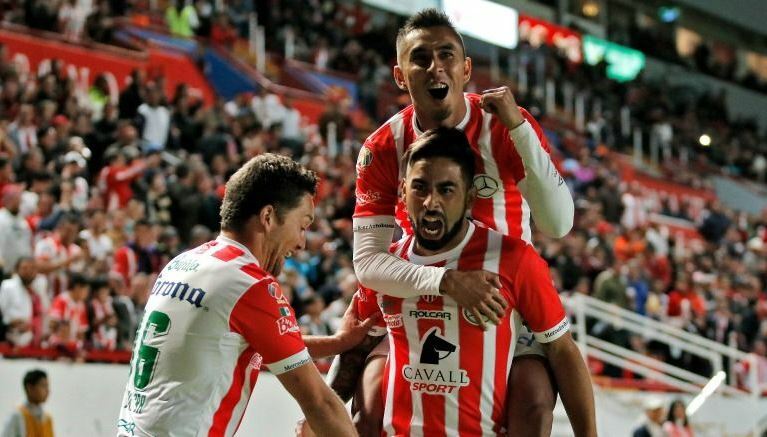 We’ll have to wait until the new season for answers, but what can be suggested right now is that Necaxa do have a chance of making another surprise liguilla appearance. Their best hope lies in Gallegos and Villalpando, if they get a chance to play together in the midfield. The pair were ranked sixth and first on the distance covered per 90 minutes list in the Clausura, and both are technical and intelligent creative midfielders. Could be a lot of fun to watch. 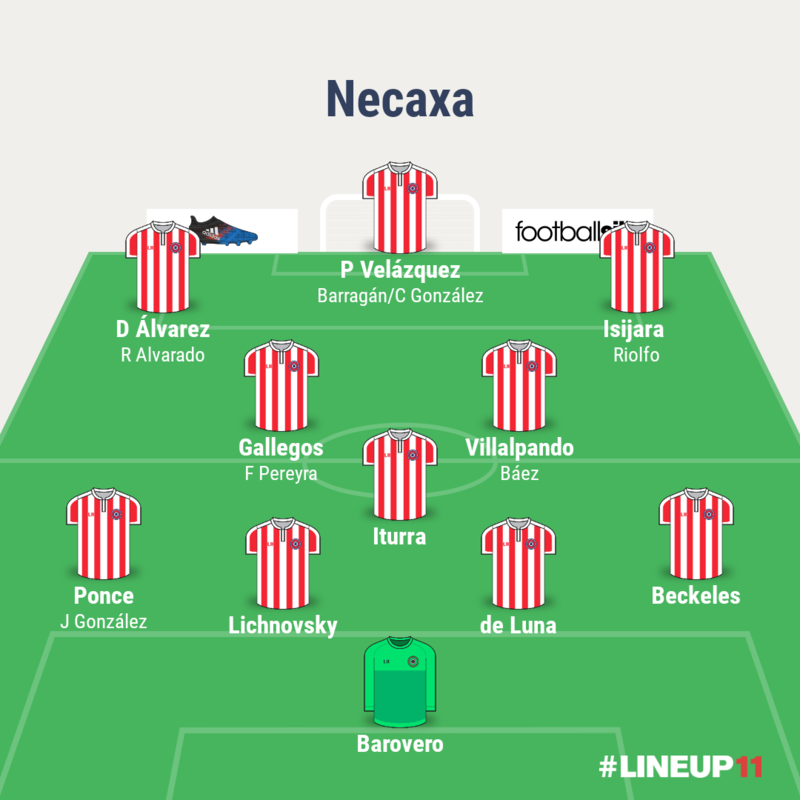 Necaxa opens the Apertura 2017 with new coach and club legend Ignacio Ambriz, as well as a revamped team that includes a few promising Mexican players like forwards Daniel Alvarez and Martin Barragan. Necaxa dumped plenty of foreign talent that was never given a chance and also sold its best player, the coveted Edson Puch. When Necaxa lacked ideas offensively in an structured system last year, Puch was the savior with individual brilliance. That may now fall on former Huachipato striker Carlos Gonzalez and rest of the Chilean delegation at Necaxa. Ambriz has expressed the importance of chasing the title, but realistically speaking, Necaxa is a middle-of-the-pack team sitting at 11th place in the relegation table. Without Puch, the team will struggle. Luckily Necaxa has one of the best keepers in Liga MX, Marcelo Barovero. 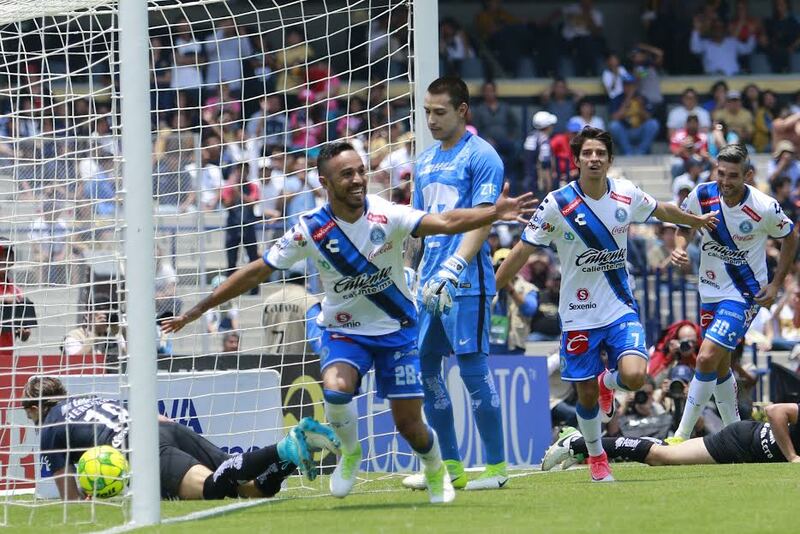 Dorlan Pabón’s 86th minute penalty looked to have relegated Morelia. With Atlas doing them no favours against Chiapas, Morelia needed to find late, late winner at Estadio BBVA Bancomer in order to survive. La Monarquía didn’t look like they’d get anywhere near scoring, until substitute Rodolfo Vilchis found space on the right-hand side. Vilchis sent in a dangerous cross, which was flicked towards goal by Miguel Sansores, and turned home by the outstretched Raúl Ruidíaz. 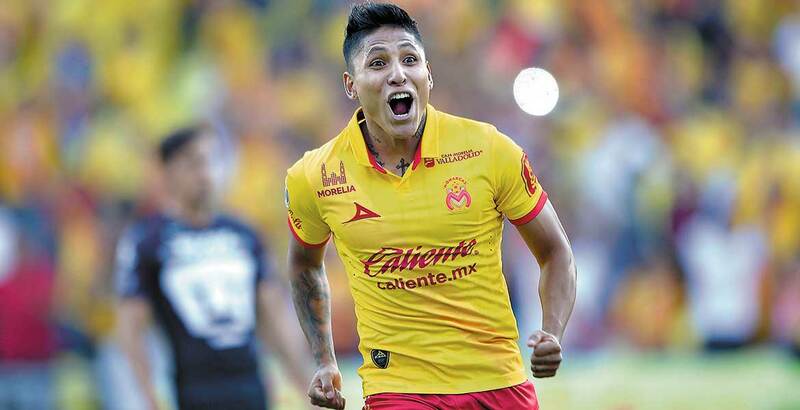 This sealed a sensational first season in Liga MX for the Peruvian, who top scored with 20 goals across the campaign. Morelia have crucially now had their awful 2014/15 points total wiped from the table de cociente, meaning that they go into this season 21 points ahead of Veracruz, so are highly unlikely to be involved in the relegation battle. Instead, they can focus on trying to surprise a few by making a second consecutive liguilla. Roberto Hernández, a long-term servant of Morelia, has eventually been given a chance as full-time coach, following several interim spells. Hernández won six of his 14 matches in charge last season. It may have been a quiet window for Morelia, but it was still a highly successful one, as the squad which made liguilla has been kept together. Attackers Raúl Ruidiáz and Diego Valdés were both heavily linked with moves away from Morelia, but both have stayed. As has Sebastián Sosa, Sebastián Vegas and Aldo Rocha, with all three having their loan deals made permanent. Morelia have the potential to cause problems for any side. Rocha’s a decent ball winner, Rodrigo Millar’s distribution was sensational last season, wingers Jefferson Cuero, Andy Polo and Rodolfo Vilchis can all cause problems on their day, as can attacking-midfielder Valdés. The real star though is of course Ruidiáz. A superb goal scorer, with the ability to drop deep and play-make, and spark a match into life, the Peruvian was one of Liga MX’s best players in 2016/17. 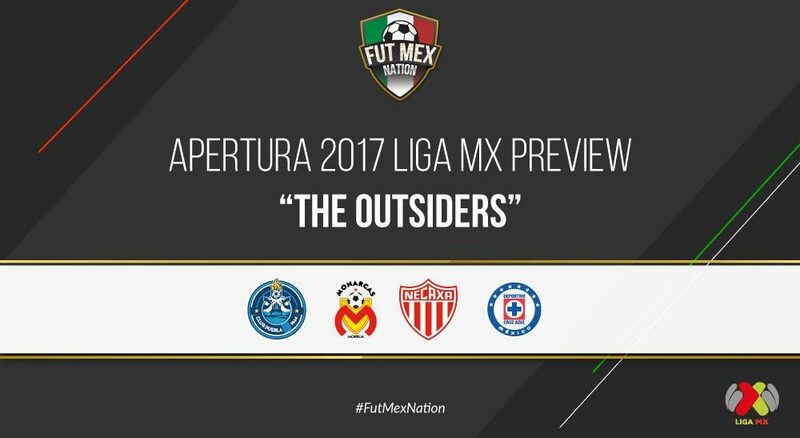 Players coming in for this season are all experienced in Liga MX so there’s no need to wait for anyone to adapt. That’s a plus. Hopefully Diego Valdés can re-discover his form from his first season at the club, that would be excellent. With not many changes and some added depth on the bench, liguilla is possibility as well this season.